The SteamWorld series is a peculiar one. So far, there have been three games which have released on numerous platforms, going from mobile to Nintendo consoles to PlayStation consoles to the Xbox One. And not one of them keeps to the same genre. 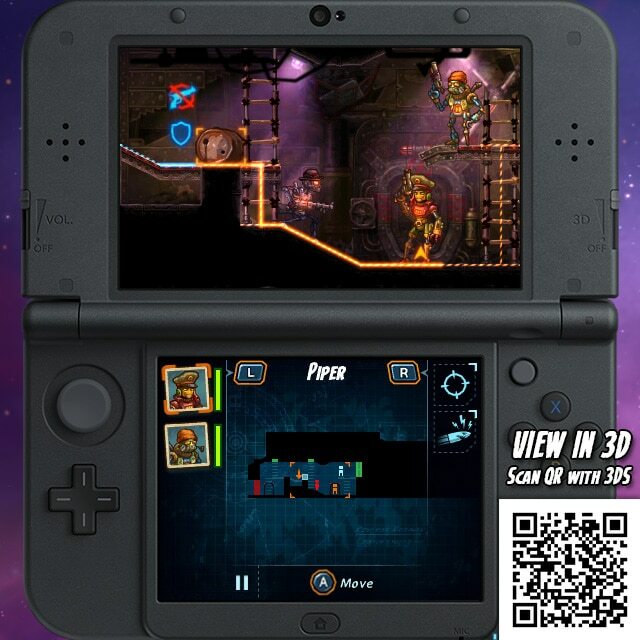 SteamWorld Tower Defense, the first game in this series, was… well, as the name suggests, a tower defense game. 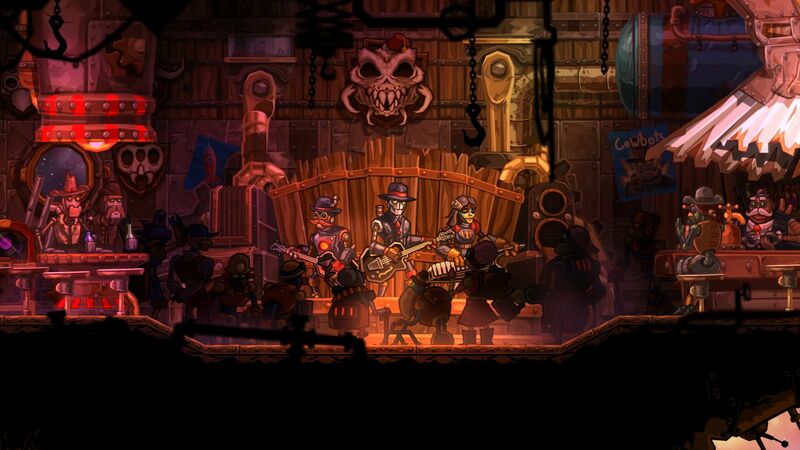 SteamWorld Dig was a platformer where you dug farther and farther into the world. 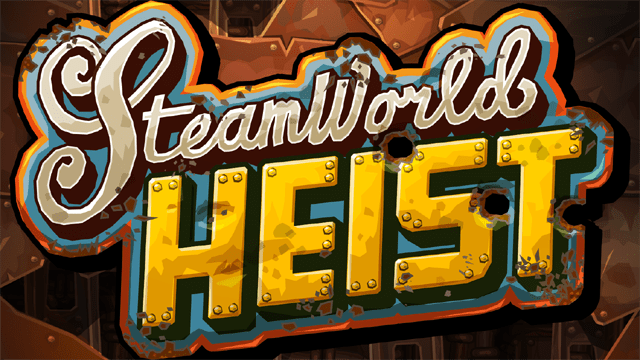 SteamWorld Heist is a turn-based strategy game. These guys will eventually delve into specific genres a second time at some point, right? There’s only so many times you can do that before you run out of genres. Eh, who am I to complain? This game is great. Let’s talk about it. 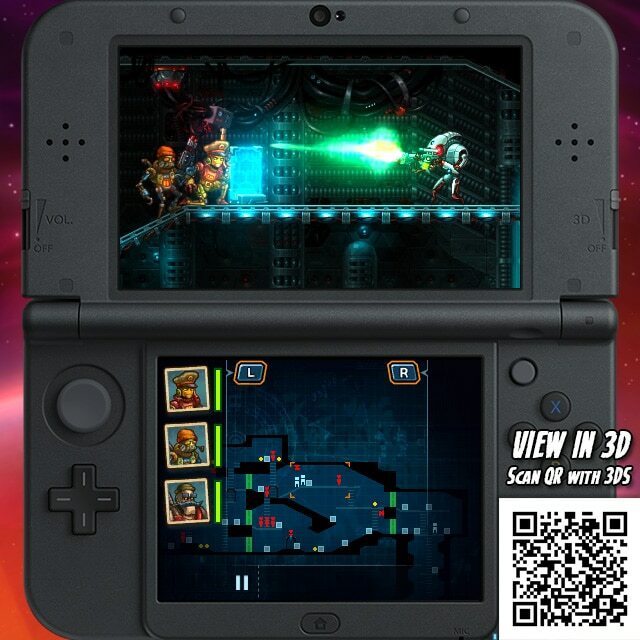 SteamWorld Heist takes place in space some time after the Earth was blown up. You play as Captain Piper Faraday as she gathers some steambots together to regain what was hers, adventuring through procedurally generated levels. But along the way, she’ll have to take on the Red Queen and her Royalist soldiers, plus a group of Borg-like aliens called the Vectron in order to save your fellow steambots. Of all the aspects about this game, I thought the story was the weakest part. In particular, I thought the lead-in to the third part of the game was a bit weak. You come across a sort of Royalist jail used to house a dormant alien. And as any Sci-fi afficienado could guess, this is the part where our heroes accidentally wake up the ultimate baddies (the Vectron). A bit predictable. But not necessarily bad. While I said the the story was the weakest point in the game, it’s not something that hurts the experience. Heck, the cutscenes are some of my favorite parts of this game, as they get the 1920s news reel treatment. But for the most part, the story is one that is passable but not memorable. It stays long enough for you to get what you need to know and then get out of the way of one of the year’s best strategy games. Gameplay is excellent. Battles are turn-based, starting with your team moving along the floors of enemy ships followed by the enemy team reciprocating. Since we’re dealing with guns, it should be obvious that you don’t need to be up close to the enemy to attack. However, only a few guns have scopes that can track the shot, so you may need to get fairly close to hit your target. But while you’re shooting, make sure to stay close to cover so that an enemy has a harder chance of taking you out. It’s kind of like XCOM, but with some key differences. The first is that there is no permadeath. If a steambot falls in battle, they will be taken to the ship and put back together (off-screen). You don’t lose any money for it — although you will lose some money if your whole team dies on any mode above Casual — but you lose that bots’ percentage of the total team experience points for the mission. Once back on the ship, the bot can then be used in the next mission. Given that these are robots, it makes sense that they would just be put back together; and the penalty works just fine in my opinion. The second is that this game has a 2D side-view of the gameplay. Now, while you do lose a dimension, you do gain an important gameplay element out of it: ricocheting trick shots. If you can’t get into an optimum position to take out an enemy, whether you run out of spaces to move or you’d be left out in the open, you can bounce your shot off of most walls and floors to hit an enemy. And while there is a limit as to how far the bullets will travel, the damage done will be the same as if you were shooting straight at them. And this isn’t something you’ll only do a few times during your campaign; this is something you will do a few times each mission. And it’s not just your bots that can do that, so strategize your position properly to avoid any trick shots against you. Positioning is also key against strong characters that are difficult to take down. Obviously, bosses come to mind, but there are also those that have shields that you’ll need to work around. Get too close and you’ll be forced into melee combat, limiting you quite a bit in damage potential. And if you get flanked, prepare to have your bot smashed. This happened to me a few times during the game, including a couple times where my team was wiped out. If you can learn from them, you’ll do fine, particularly in the major boss battles. Speaking of which, keeping focus and strategizing both attack and positioning are key for taking on bosses. Not only will you have to deal with the main bosses, but you’ll have to defeat other enemies as well. However, this varies from area to area. In the first part of the Red Queen battle, the boss just summons minions at specific points in the battle (the points being at 25% damage intervals). The second part has the Red Queen not only summon normal ground troops but her mini-bosses that ran away in previous fights, making you fight three bosses at one time. And I suppose now would be a good time to talk about the hats, since one of the designers likes to call this game a hat simulator with guns (I’m sure Valve would disagree, but whatever). Every steambot you recruit comes with their own unique hat. 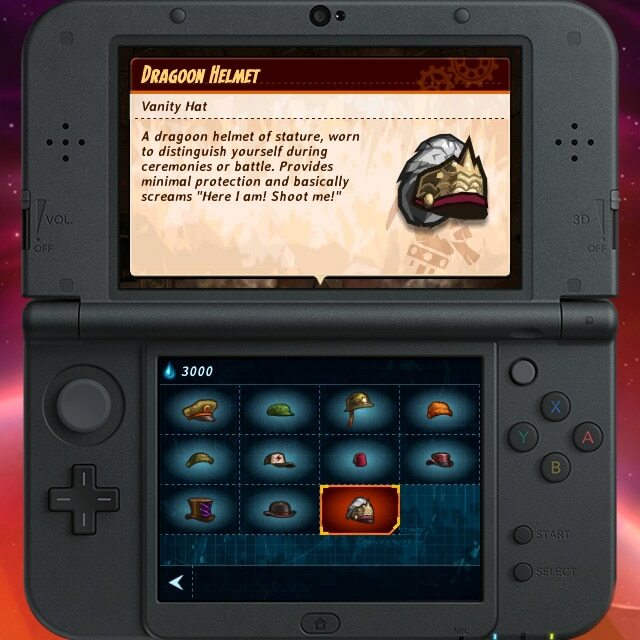 However, you can earn more hats to customize each look a bit. This can be done either by buying them or shooting them off of enemies. Shooting them off can be fun as you’ll be treated to a slow-motion shot of the hat flying off the enemy you were aiming at. It’s pretty cool to watch and see the enemy shout as their hat flies off… unless you were trying to head shot the enemy, in which case the game is laughing at you. The atmosphere in this game is incredible. Everything from the design of the ships to the overall sound just makes for a haunting atmosphere when you’re out in cold, dark space. While the design is similar to Dig, in which it can feel like the same levels just re-skinned for a different enemy/world, it looks good. The 3D looks fine, too, having the ships stand out from the rest of space. As for sound, I’ve gotta give some special credit to Sound Designers Jannik Reuterberg and Mattias Hammarin as well as composer Johannes Hedberg for his awesome score. And I can’t forget to acknowledge the amazing tracks done by the band Steam Powered Giraffe. The whole experience was like ear candy. And that’s actually Steam Powered Giraffe as NPCs in the game. They’ll show up at a couple different venues throughout the game playing for their steamfans. Overall, SteamWorld Heist is pure fun. For about $20 USD, you’ll get a top-notch 15-20 hour strategy game, which seems like a good deal. It’s currently out on 3DS but is expected to release on everything else next year, so if you don’t have a 3DS you’ll have to wait a bit longer. But if you do have one, go forth and experience this adventure, you steam powered gunslinger. 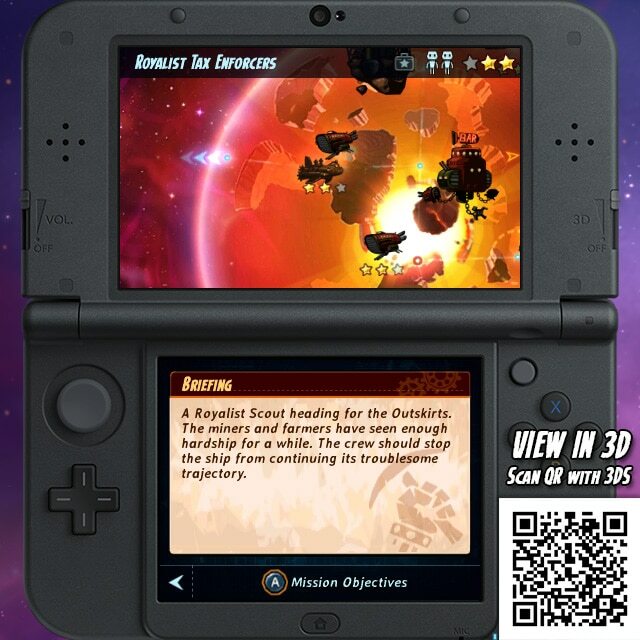 Copy of SteamWorld Heist provided by the publisher for review purposes. …Eh, one more video. 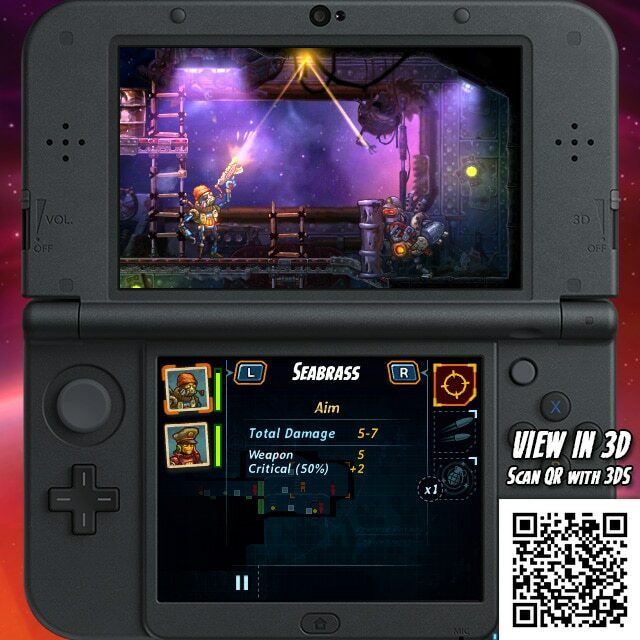 Here’s the theme song for SteamWorld Heist, done by Steam Powered Giraffe.